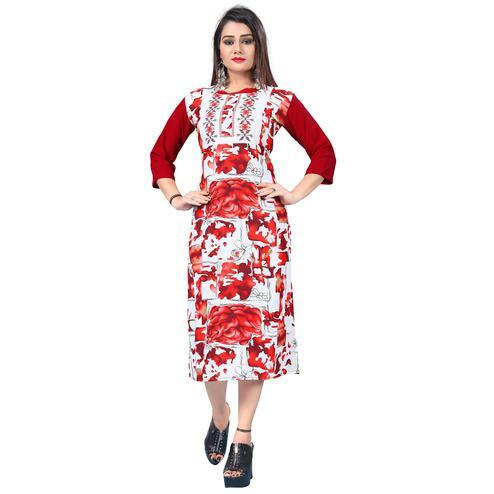 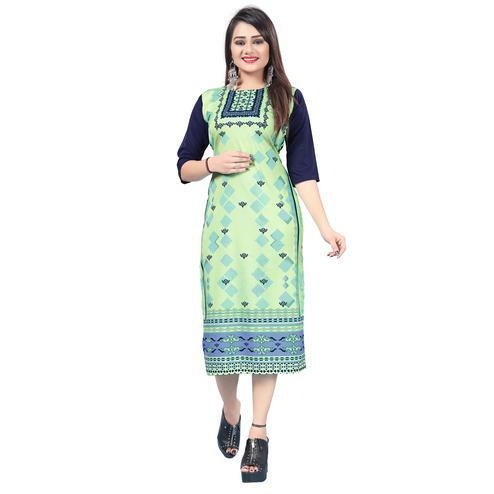 Make your everyday look more attractive with this yellow kurti made out of crepe fabric and prettified with traditional and geometrical pattern print work. 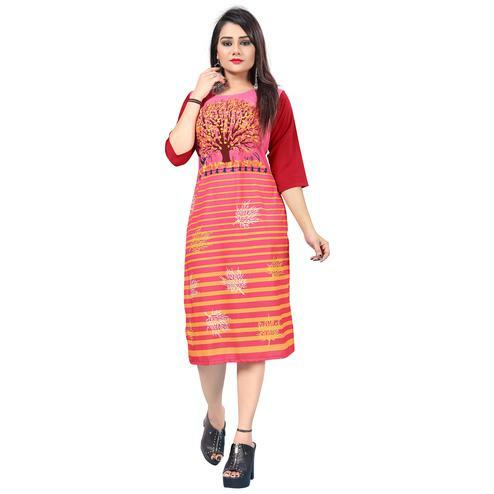 This kurti has got plain black color at back as shown. 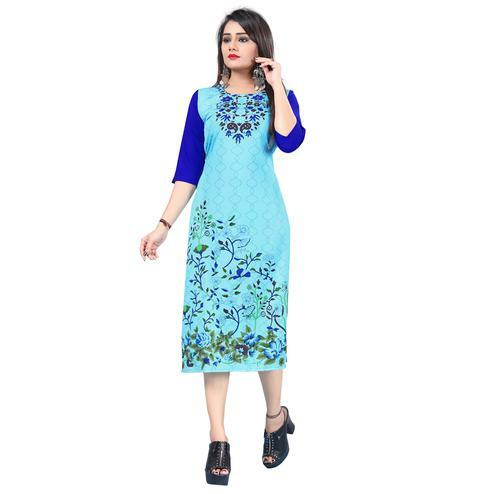 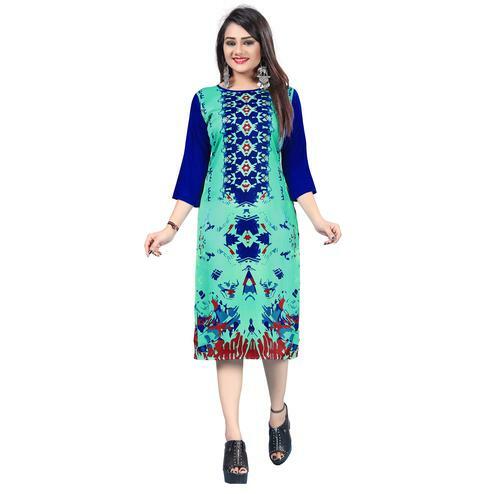 Suitable to wear for casual outing once it has been teamed with matching color leggings or jeans.